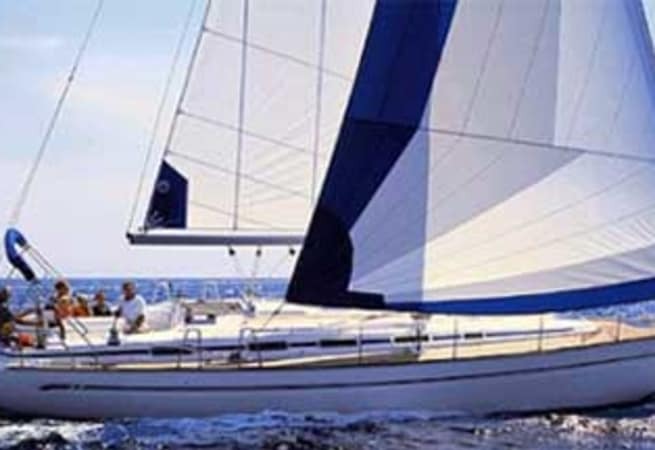 Ayla, the 44ft Bavaria, can accommodate up to nine with two large aft double cabins, forward twin/double master cabin, forward twin bunk cabin and up to two berths in the saloon, along with two heads, both with hot and cold water and shower, plus a large galley along the side of the saloon. 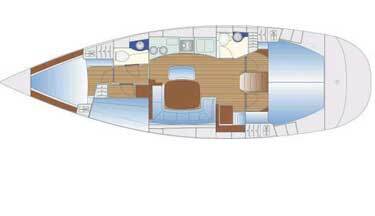 Her layout is particularly suited for groups of eight who can cruise in comfort without having to use the saloon for berths. 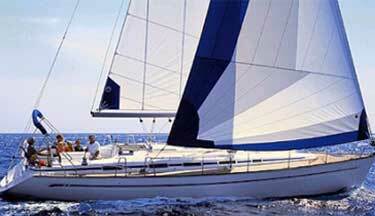 She is available for skippered and bareboat charter.